The Swiss were amongst the first to appreciate the Luger automatic pistol and officially adopted the Model 1900 pistol for their military on April 4th, 1901. 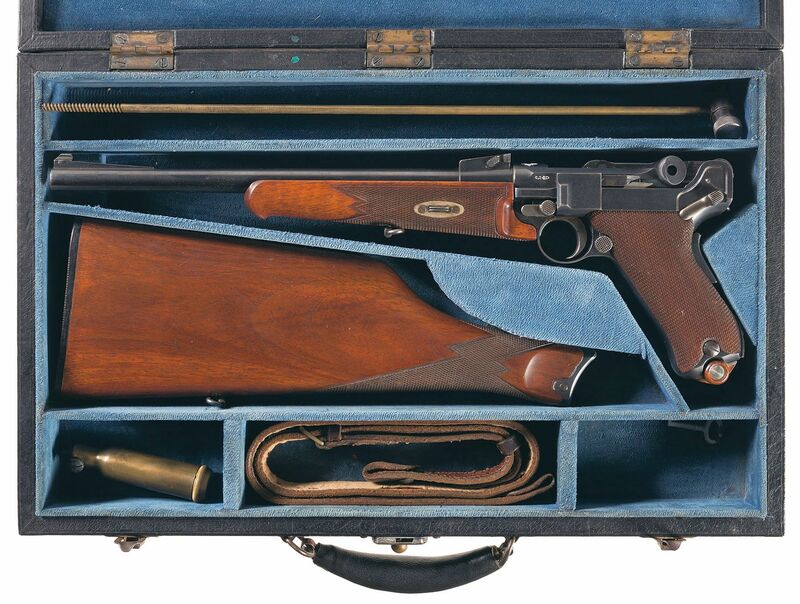 The Model 1900 as adopted by the Swiss featured the early type leaf-spring mainspring and military issue models were chambered for the 7.65x21mm (.30 Luger) cartridge. One of the very rare test models supplied to the Swiss Government for testing was sold by Bonhams in 2014. Original 1899-1900 factory test prototype made for the Swiss Government. (Picture courtesy Bonhams). You will find that pistol mentioned in the Revivaler post on “The Luger”. The original military issue Swiss Lugers were made with 120mm (4.7″) barrels and also featured a grip safety in addition to the manual safety on the left side of the action. Because the automatic pistol was very much in development at that time there were those who believed that an “automatic” grip safety catch was sufficient of itself, so some manufacturers would offer the choice of either a grip safety or a manual safety. The Swiss and the Germans were more inclined to make absolutely sure their pistols were safe and so the Swiss Lugers were equipped with both. Top view of the action of the commercial Model 1900 Luger Carbine for sale by Rock Island Auction. Rear-sight is calibrated for 100m, 200m, 250m and 300m. The caliber chosen by the Swiss for their pistols was the 7.65x21mm (.30 Luger). At that time there had not been a lot of field testing with military automatic pistol calibers and this was regarded as being a perfectly sensible choice. It would be the British and the Americans who would discover that the stopping power of these high velocity small caliber cartridges was perhaps not up to the task, especially when dealing with a determined and physically resilient adversary such as the Philippine Moro during the Philippine/American War for example. So the British and the Americans upgraded to .45 caliber cartridges for their automatic pistols, giving birth to the .45ACP in the Colt M1911, whilst the British created the .455 Webley Automatic for the Webley Mk I that was adopted by the British Navy. 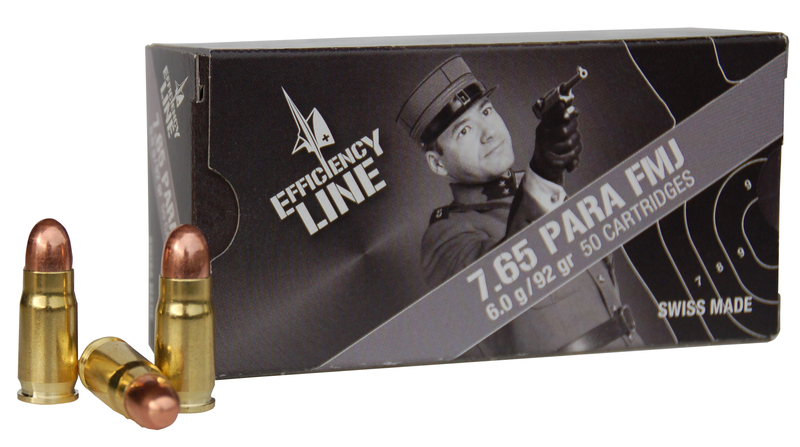 7.65x21mm ammunition. (Picture courtesy AATS – aats-shop.ch). (Note: you can find the above ammunition for sale at AATS if you click here). With its adoption as a military and police pistol there was some demand for a commercial civilian carbine version for enjoyment on the target range and also for hunting small-medium game such as roe deer, fox etc. DWM therefore created a carbine version of the Model 1900 Luger with a 305mm (12″) barrel, complete with a wood fore-end, and a detachable shoulder stock. This carbine was chambered for the 7.65x21mm (.30 Luger) cartridge and, like DWM products generally, was made to the highest standards. The DWM Swiss Model 1900 Luger carbine with shoulder stock fitted. The DWM Luger carbine was made in very small numbers as the Swiss Model 1900, and a German Model 1902. You will find an excellent listing of Luger models and relevant serial numbers at the German Daggers website. This small carbine is very low powered as a hunting carbine but with its small size and lightweight it no doubt appealed to some. Germam Kaiser Wilhelm was presented with one as was Teddy Roosevelt, who apparently used it for horseback hunting. The DWM Swiss Model 1900 Luger carbine coming up for sale by Rock Island Auction. The DWM Swiss Model 1900 in our pictures is coming up for sale by Rock Island Auction on February 17th, 2018. The condition of the piece is described as: “OE – GOOD: some minor replacement parts; metal smoothly rusted or lightly pitted in places, cleaned; lightly scratched, bruised or minor cracks repaired; in good working order. PRF – PROFESSIONALLY REFINISHED OR RESTORED“. 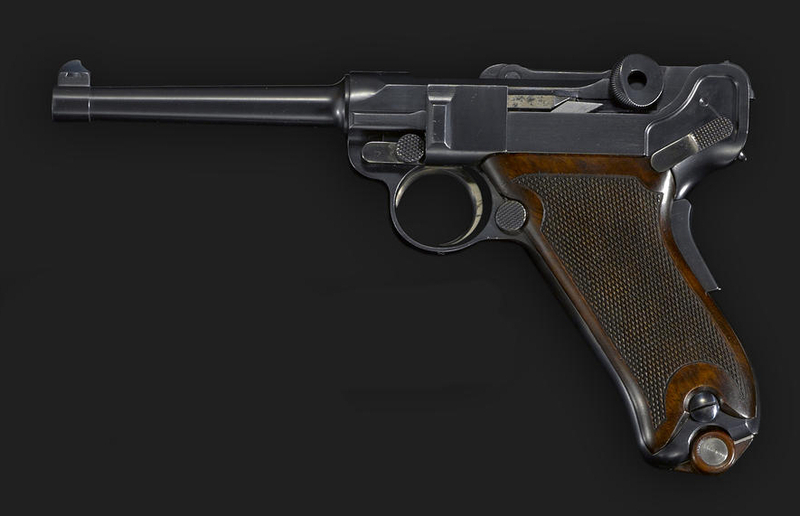 The serial number of this Luger is listed as 50100. Expected sale price is in the range USD$6,500-$9,500. You will find the sale page for this Luger if you click here. These carbines don’t come up for sale often and so this represents an opportunity for a Luger collector to acquire a good example of one of these rare Lugers.